It’s been awhile since we’ve heard anything new about the highly-anticipated, all-female Ghostbusters reboot. Thankfully, Paul Feig has decided to throw us a bone. 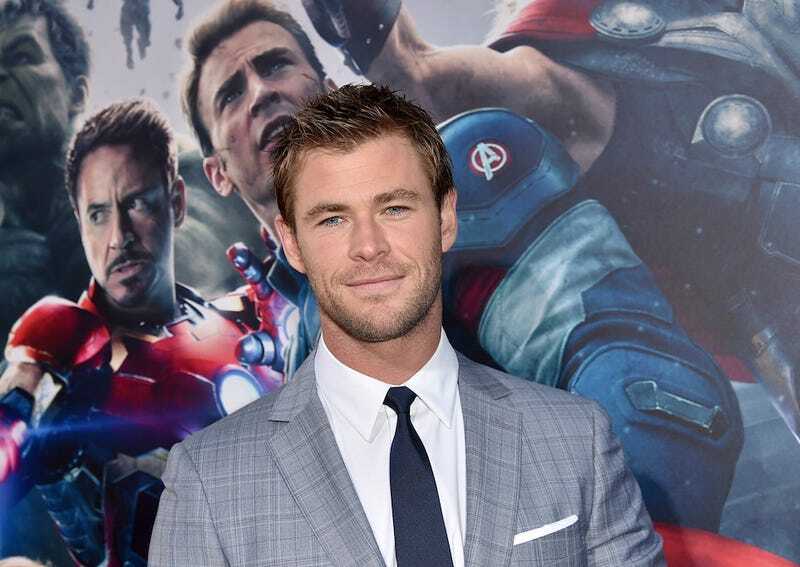 The director revealed the film’s newest cast member on Twitter, and it is Chris Hemsworth. The Australian actor, best known for his role as Thor in the Marvel movie universe, will be playing the paranormal team’s receptionist. While we do know that the spirit-hunting quartet will consist of Melissa McCarthy, Kristen Wiig, Leslie Jones and Kate McKinnon, information on their characters have not been confirmed. Plot details are also still unknown, reports People. Let’s speculate some thangs, shall we? In the original 1984 film, Annie Potts played receptionist Janine Melnitz. Janine was attracted to Egon, played by Harold Ramis, though she later became involved with accountant Louis Tully, played by Rick Moranis. Should we expect Hemsworth to have a crush on one of his ghost-exterminating employers as well? Probably! The film will be out July 2016. No word yet on who will be playing Slimer.